CAR CHARGER ERICSSON6XX 7XX 8XX T10 T18.. CAR CHARGER ERICSSON T2X / T3X / T6X T200 T300.. CAR CHARGER Motorola StarTAC / V3688 / V51 / D560 / m3688.. CAR CHARGER MOTOROLA T2288 / T2282.. CAR CHARGER PANASONIC GD30 / GD50 / GD70 / GD90.. 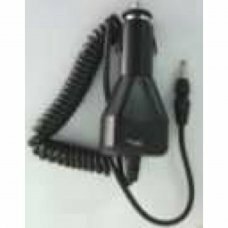 CAR CHARGER SAMSUNG A100 2100 2400.. CAR CHARGER SAMSUNG A200 A300.. CAR CHARGERSIEMENS C25 / S25 / C35 / S35 / M35 / C45 / SL45.. CAR CHARGER SONY Z5 Z18.. CAR CHARGER 3310 3330 3390 3410 3510 3650 5210 6210 6250 7210 7650 8210 8250 8310 8810 8850 8890.. CAR CHARGER GD52 - GD67 - GD75 GD76 - GD80 GD87 GD92 GD93 GD94 GD95 GD96..